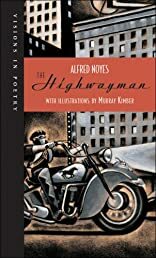 The Highwayman is the second book in a unique series -- Visions in Poetry -- featuring classic poems illustrated by outstanding contemporary artists. Originally published in 1907, "The Highwayman" is a haunting ballad of doomed love. Seldom have mood and character been so memorably evoked. The pounding rhythm of the rhyme, the dramatic pacing and the power of the imagery have made it one of the most popular read-alouds of all time. Murray Kimber's stunning noir interpretation is a darkly brilliant achievement that stays true to the poem's tragic spirit. About Alfred Noyes (Author) : Alfred Noyes is a published author of children's books and young adult books. 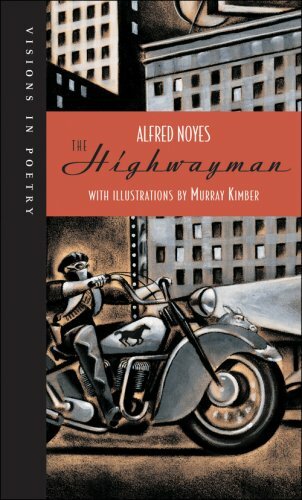 Some of the published credits of Alfred Noyes include The Highwayman (Visions in Poetry), The Highwayman.